The systems and algorithms serve up short content, and study the discrete movements you make with this content. Did you immediately scroll past, or click on the link? Did you replay the content? Did you like or comment on the content? Did one color, or deign element keep you in the app, and allow the platform to collect more data? Do you like certain color schemes, transitions, or audio cues…all of this is modified to best serve you. All of this is collected and aggregated by the thousands or millions. The goal is to keep you in the environment and keep collecting your data. Ian, I really enjoyed this post unpacking the association between Skinner, digital devices and literacy. It reminded of Doug Belshaw’s discussion of literacies and the need talk about the critical and constructive as much as the cognitive and communicative. I also enjoyed your discussion of the ‘digital black boxes‘. Both of these pieces managed to capture something that has left me feeling uneasy of late. I am not adverse to devices and technology, but wonder where the conversation is associated with it all? That was the point in my post on being informed. The latest ‘black box’ is the introduction of the smart speaker into the classroom. The discussion seems to be about what it might afford, with little consideration of any other implications. My wondering is whether turning off the behavioral aspects is enough or if the devices are in fact tainted to the core? This is something that I touched on in my response to Dai Barnes. Journalism can hand-wring, divide parents from each other, and cast technology as the heart of darkness. Or it can help shed light on a serious issue that I know lots of families are struggling to get right. Also, it is not productive to perpetuate extremes as they are not sustainable. For more on Kamenetz work watch her conversation with Mimi Ito. I really like Douglas Rushkoff’s point that the best mobile phone is the one you have. I still use my Nexus 6P and am happy with it. I feel we’re knee-deep in developments happening around the area that can broadly considered ‘notification literacy’. There’s an element of technical understanding involved here, but on a social level it could be construed as walking the line between hypocrisy and protecting one’s own interests. It feels like there has been so much written about phones lately. I have been sitting with my thoughts for a while and decided to let them go. Would love any thoughts. Really feel like I am missing something or maybe it is just complicated. 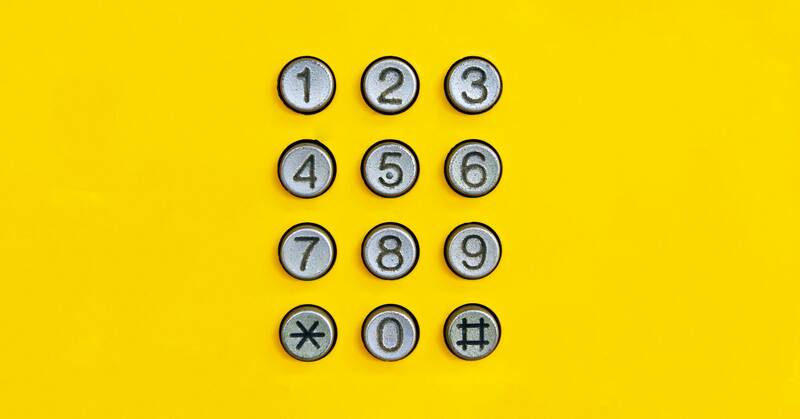 So if you're looking for an alternative to the phone number, start with something more easily replaceable. Hardjono suggests, for example, that smartphones could generate unique identifiers by combing a user's phone number and the IMEI device ID number assigned to every smartphone. That number would be valid for the life of the device, and would naturally change whenever you got a new phone. If you needed to change it for whatever reason, you could do so with relative ease. Under that system, you could continue to give out their phone number without worrying about what else it might affect. After a single decade little more remains in our pockets and purses than the snacks, the breath mints and the lip-balm. By changing the approach, and importantly changing our language around technology we reframe the conversation and the connection with have with young people. If we want them to reach out to trusted adults, seek support and report incidents of cyber hate, bullying or violent extremism then we must take time to build meaningful programs that address the skills required. There is no quick fix. There are no apps or software programs that can take away all the risks and insert these skills into peer groups. We need to invest time and energy to developing authentic programs that address the complex interaction between the online and the offline worlds and our relationships within them. These are human problems, which need considered human solutions.